If you’re a stay-at-home mom, you do it all. You may dream of having a perfect house with all the laundry folded, dishes clean, rugs vacuumed, and toys neatly lined up on a shelf – until the reality sets in about just how hard being a stay-at-home mom actually is! Often the stress of having to get “everything done” leaves you struggling to manage your time efficiently, but there is a better way. Here are some tips to create a stay-at-home mom schedule that is realistic, and actually works. First, make sure to prioritize your morning routine. Whether it’s waking up a few minutes early and enjoying a hot cup of coffee, or creating a ritual where you journal each morning, take the time to savor those first quiet moments of the day, to start your day on the right path. Next, make sure to prioritize your schedule with the items that must get done that day, such as dropping off and picking up your children at school if they aren’t homeschooled, lunchtime, extracurricular activities, bath time, etc. By lining up on paper the tasks that must get done, you have a basic framework to start with. All the time in between can be used to fill with various tasks that need to be done such as cleaning, your own work, meal prep, etc. But remember, you don’t need to fill every minute on your schedule with a task! For your own sanity, it’s crucial to create downtime. Every single waking moment doesn’t need to be scheduled and planned. Not only will it drive you crazy, but your children can pick up on your anxious desire to “do it all”. Throw out your to-do list for a day, and kick back and watch a fun movie with your kids, or go for a relaxing walk outside to enjoy a beautiful day. The dishes in the sink will be there when you return, and it’s okay to relax and take a breather. You can also try creating routines that work in your home – such as emptying the dishwasher every morning, doing laundry right after breakfast, etc. Once you get into a routine, the tasks will be second nature. You can even get your children into a routine such as dinner, bath, story, bed. If your child knows what’s coming, and they are adjusted to the daily schedule, they may not be as resistant. And most important – make sure to prioritize sleep. If you’re sleep deprived and exhausted, no matter how great your schedule is, you’ll struggle to get it done. Make sure to sleep at night as much as possible, and even schedule naps for your children (and perhaps take a power nap yourself)! And finally, one of the most important things to realize is, perfection doesn’t exist. At least not in real life. There will be dirty dishes in the sink. The toys won’t all be put away. Kids will spill and make a mess. But don’t let these small things in life discourage you. By being a stay-at-home mom, you have one of the most important jobs on the planet, as you are truly influencing and training your child to take on the world. 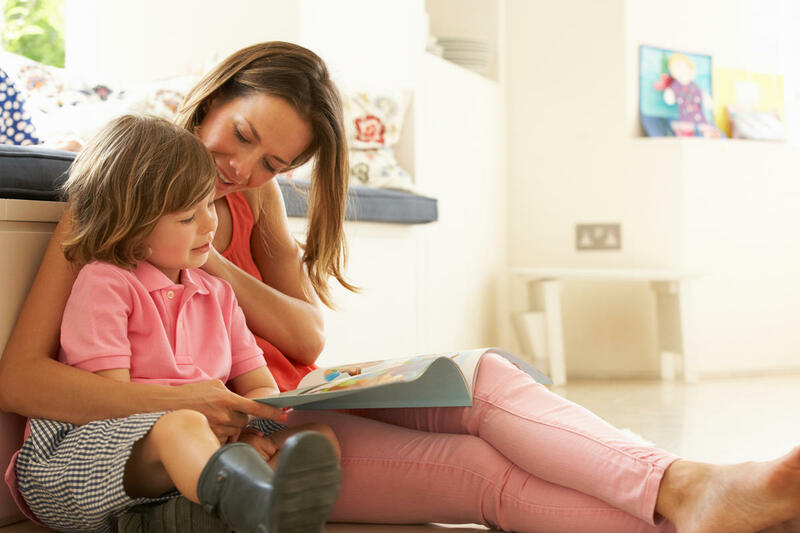 Being a stay-at-home mom is challenging, but try these tips to create a balanced home which will allow your children to thrive and take the pressure off yourself! What are some ways you prioritize downtime in your home? Do you have a stay-at-home mom schedule that works in your household?